New Delhi, Feb 7: India’s Prime Minister Narendra Modi is Famous for breaking the established records. In the last four years, India brakes so many records under his esteem leadership. 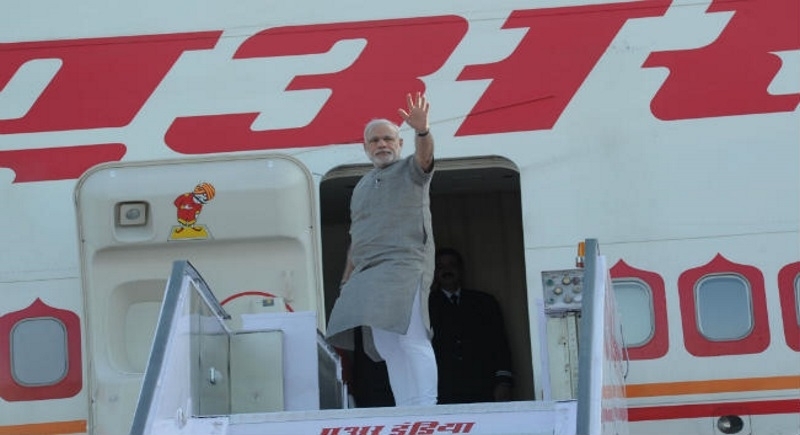 With this style, Starting from 8 February, PM Modi will visit 10 states in 5 days. With a busy schedule, traveling daily and staying away from Delhi, PM geared up full of working mode for upcoming Lok Sabha elections. This plan will follow his visit to all three regions of Jammu & Kashmir on Sunday and trip to West Bengal. On 8 February, PM Modi will visit three states, starting from a rally in Raigarh’s Kondatarai in Chattisgarh. This is his first visit to Chattisgarh after defeat in the assembly elections. After this, he will proceed to West Bengal for a rally in Jalpaiguri. After the visit of West Bengal, he will visit Assam. On February 9, in Guwahati, he will unveil no. of developmental projects like laying the foundation stone of a bridge over Brahmaputra and AIIMS with the inauguration of the new Gas pipeline which will connect Northeast India with National Gas Grid. After this, he will move to Arunachal Pradesh, where he will inaugurate the new ‘Greenfield Airport’ and then in Tripura for a rally before returning to Delhi. Next day, PM will attend Tamil Nadu’s Tirupur rally, after the rally, he will address the public rally in Hubballi in Karnataka. The same day, he will also attend the rally in Guntur, Andhra Pradesh. On February 11, Modi will attend the programme of ‘Akashaypatra Foundation’ in Mathura in Uttar Pradesh. The Akshaypatra Foundation serves Midday meal to about 8 lakh children. In this programme, PM Modi expected to serve meals to kids. This programme will also attend by CM Yogi Adityanath and Union Minister Prakash Jawadekar. On Feb 12, PM will grace the programme of “Swachh Shakti Programme’ at Kurukshetra in Haryana. This programme will be attended by women sarpanches across the country.